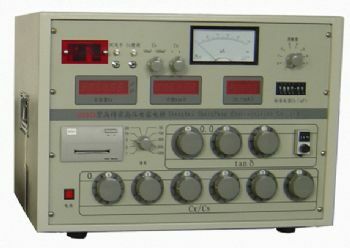 QS30A high-voltage bridge takes use of combined line of current-comparator and Schering bridge. It is featured by reliable and easy operation, high precision, good linearity, automatic process of data, direct display on the panel capacitance, dielectric loss tgδ, test voltage and current flowing through the standard capacitor (Icn). It is widely used and reliable.